I missed getting a post up yesterday—it was so freaking hot in the city, our air conditioning isn’t working 100%, and I could barely think. Uggggh, I hate hot weather. I believe that if I had grown up in a hot place, I’d never have made it through school as my brain shuts down so badly when it’s very hot and humid. We’re talking a mere 27°C/80°F that will do it. 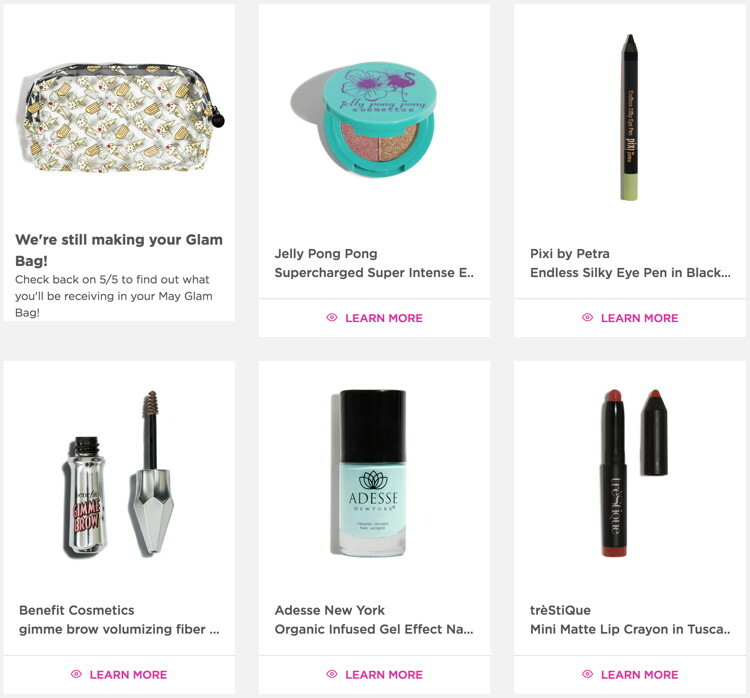 But hey, it’s only fitting that this month’s Ipsy Glam Bag (referral link) is posted on a Friday! It’s also much cooler today, thankfully. And, once again, Ipsy sent me a Glam Bag that color-coordinates, in shades of bright aqua, bronze, and cherry red. I don’t know if it’s coincidental (or that a lot of their products this month just happen to coordinate), but it sure makes for a nice photo op. Thanks to some referral points (many thanks to those who used my link! ), I was also able to redeem some of my Ipsy points for a full sized Estée Lauder foundation. I have only tried one Jelly Pong Pong product before, a rather dismal shower gel, but I’m open to trying their makeup. 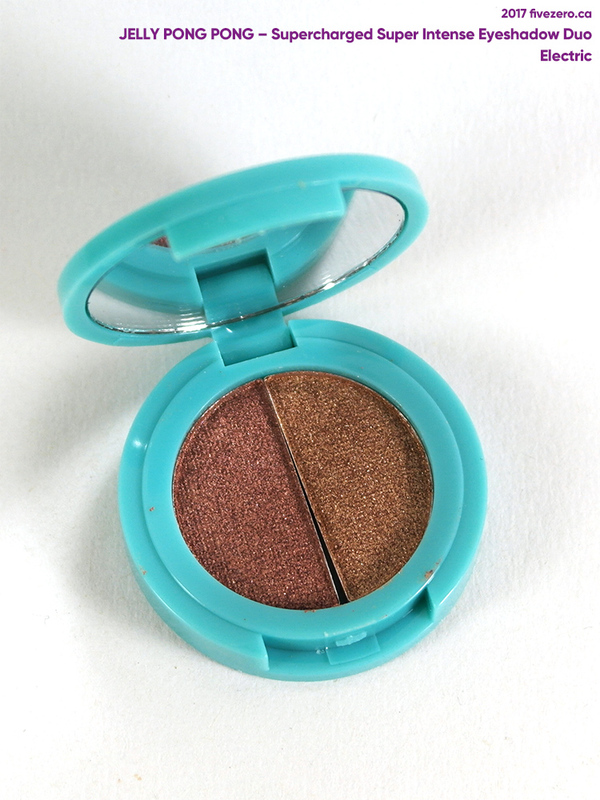 This eyeshadow duo is right down my alley, color-wise. The texture of the shadow looks a little overly-sparkly, but it’s certainly pretty, in shades of summery bronze. 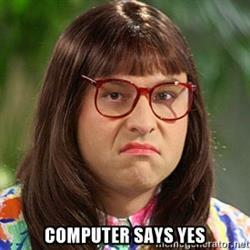 I’m giving it a test drive today. I kind of wish I’d gotten the other color option, OpalOvercoat (a champagne pink shimmer, but I’m sure I’ll get good use out of this black liner. I usually use other deep, non-black shades (grey, bronze, purple) but there’s always room for black. I gave this a swatch on the back of my hand and wow, is it ever smooth! Also, it’s a lovely dark black, though not too stark, and it didn’t budge when I smudged it! It took a lot of rubbing to finally get it to start fading, and in the end, I had to wash it off with soap. 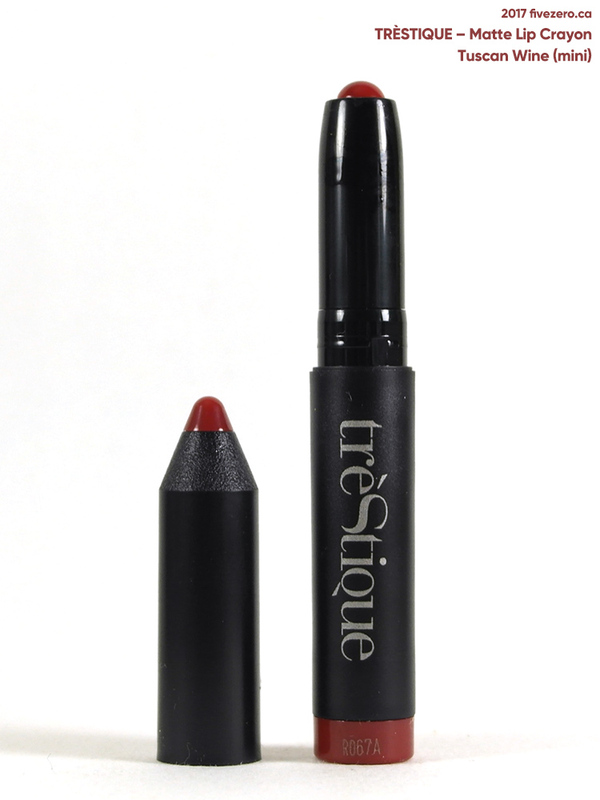 It’s marketed as a waterproof liner, and from that quick test, I think it’ll perform well. OK I really like this month’s makeup bag! 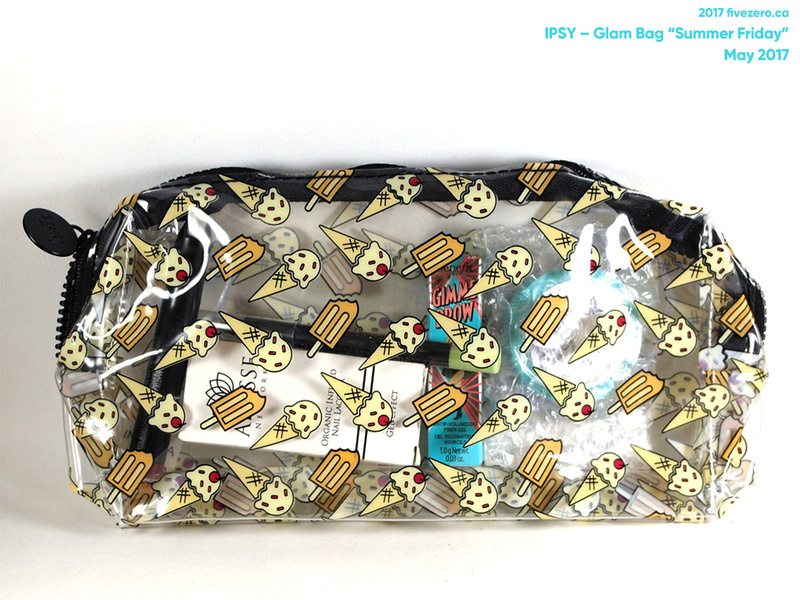 It’s clear plastic and see-through, with a super cute ice cream and popsicle motif. It was a little smelly when I first opened it, but I expect that it’ll gas off in time. Yay, plastics. I love that I got all color makeup this month! Ipsy’s computer is learning, for sure. I’m happy to get a new brand of nail polish to try, and the lipcolor and eyeshadows are very me. 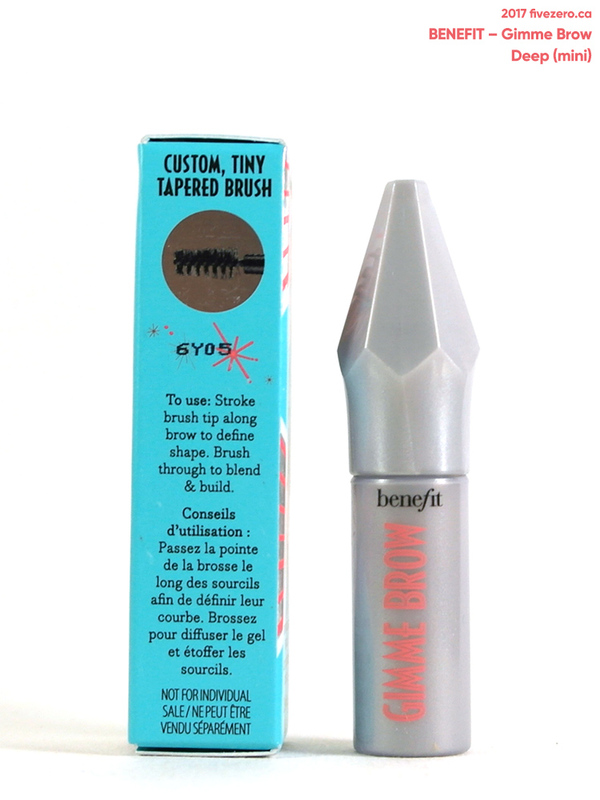 The only item I’d really be happy to swap out (for one of the other items I’ve listed below) is the BeneFit Gimme Brow. Overall, though, I’d say well done, Ipsy! This month, Ipsy also had some nice products from Urban Decay, Pacifica, and Estée Lauder, but I either didn’t need them (UD highlighter in Sin), am not wowed by them (Pacifica 5x eyeshadow palette, which actually looks really nice), or already redeemed for (EL foundation). ‘Cause you made it all the way down here, I’ll leave you with a peppy tune. Here’s “Friday I’m in Love” by The Cure, from 1992. You got some cool stuff in your bag 🙂 How do you like the Estée Lauder foundation so far? Oooh the Jelly Pong Pong e/s duo is so me as well! 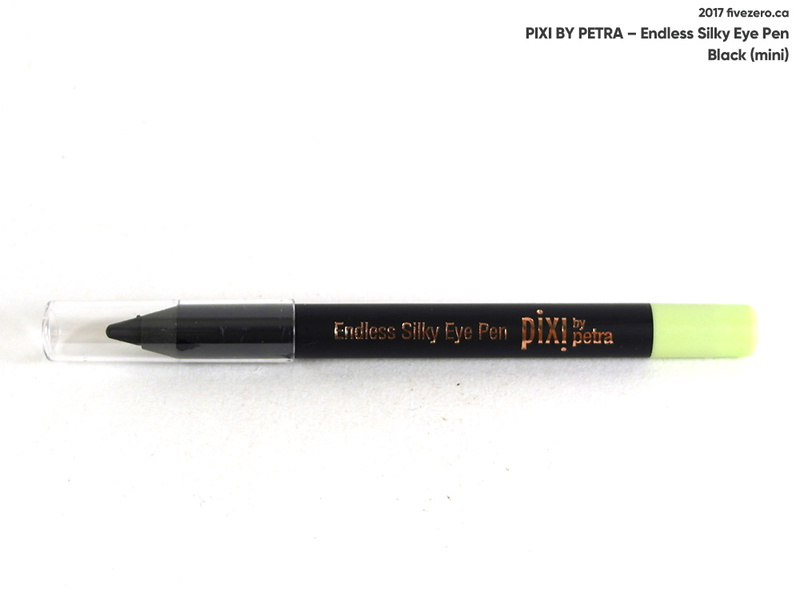 Oh yeah, I saw someone else had received the Opal Overcoat of that Pixi liner – I was curious. 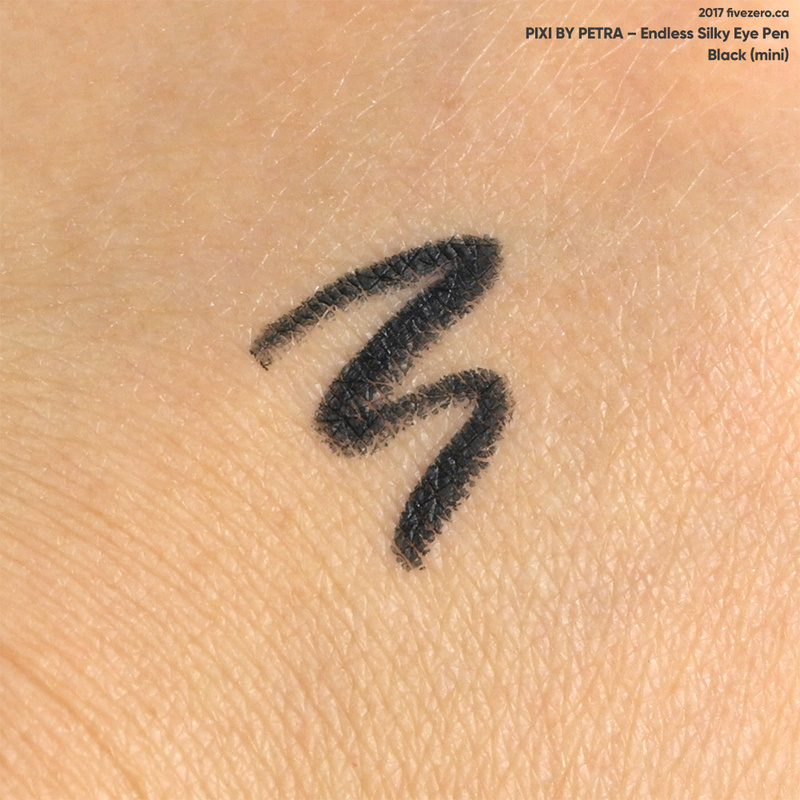 I’m with you – I hardly ever wear straight up black liner. 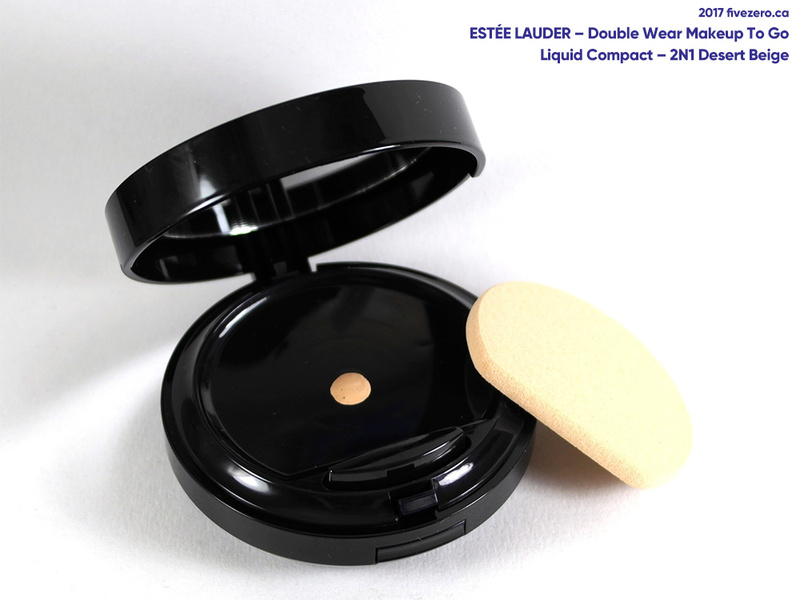 You got a really good bag – yes to makeup! It was so hot yesterday and now it’s so chilly – what the heck. That bag is freaking adorable! It is very satisfying that the colors all match and are mostly summery. I’ve never heard of Adesse, but I agree with your first impressions. 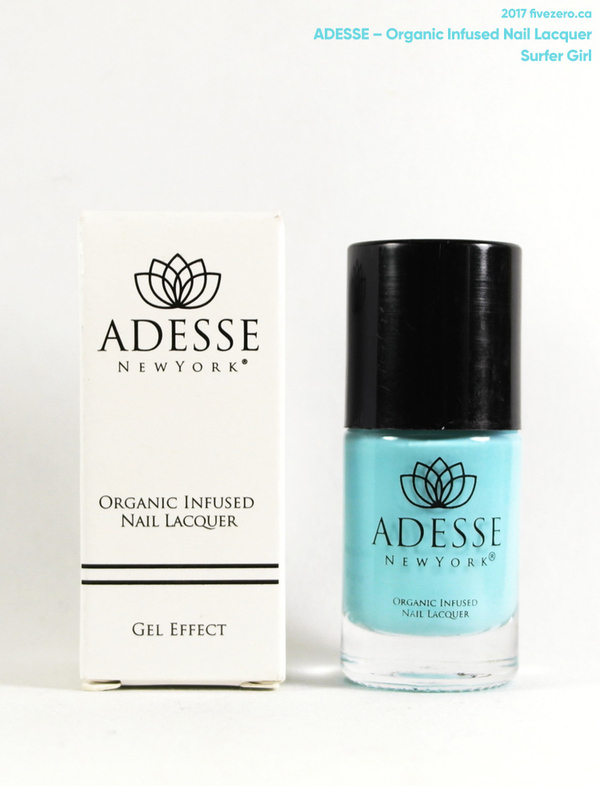 Shelling out $18 for a polish a commitment considering there are cheaper alternatives, it better be worth it! That nail polish looks like such a great shade – especially for summer. Hopefully it’s good and somehow justifies that price tag.